At Cybrilla, we use Redmine project management tool for almost all of our projects. Redmine is an open source project management tool which provides great out of the box features such as issue tracking, time tracking, role based access control, multiple projects support etc. We have found redmine to be a solid product which fullfills most of our project management needs. 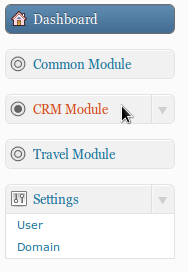 Once of the great features is that redmine supports a lot of plugins which will aide you incase you opt for redmine. 2. redmine contracts with time tracking : Another great plugin, it helps manage time and money being spent on a particular contract. This solves on of the major issues involved in project management that of managing project cost. This plugin tells you exactly where the money is being burned, under which issue/ category etc. One needs to create a new contract using the plugin and enter the start and end dates and the hourly rate. The plugin takes care of the rest and all you need to do is monitor the costs. After a long wait (6 months i believe), things started falling in place starting with an awesome new office. We are really excited about this place as much as we are excited about our work. 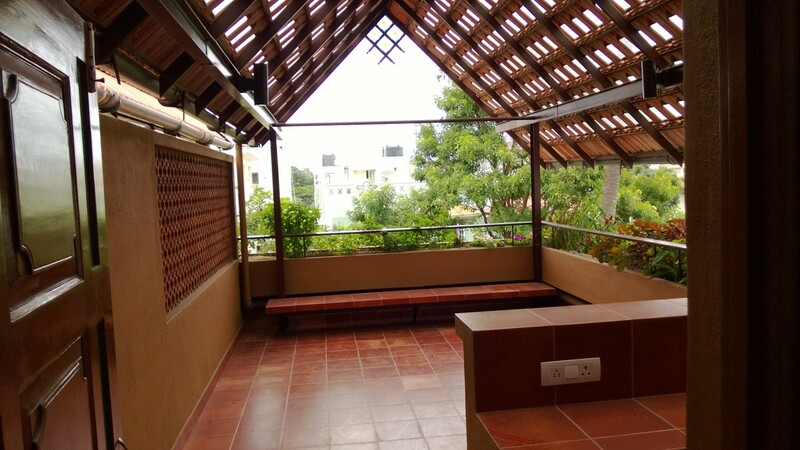 The roof terrace is an open air terrace which we use for our daily lunches, weekend parties, rejuvenating ourselves between work and of course for stand-up meetings some time. 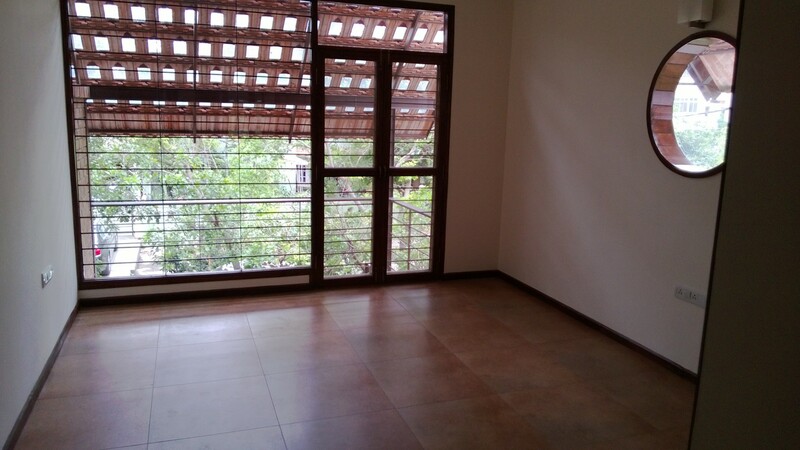 This multipurpose area is where we spend most of our time in the office. Photogenic, day in day out, and beautiful in the evening, its my window. I feel like being in the office all the time. This office symbolizes the silicon valley startup offices which I always dreamed of. Best workplace I have ever worked at. With this new workplace, we are hoping to improve our team efficiency and in turn the service to our customers. Statemachine is any device that stores the status of something at a given time and can operate on input to change the status and/or cause an action or output to take place for any given change. A computer is basically a state machine and each machine instruction is input that changes one or more states and may cause other actions to take place. 2) There are two inputs that affect its state: putting a coin in the slot (coin) and pushing the arm (push). 3) In the locked state, pushing on the arm has no effect; no matter how many times the input push is given it stays in the locked state. Putting a coin in, that is giving the machine a coin input, shifts the state from Locked to Unlocked. 4) In the unlocked state, putting additional coins in has no effect; that is, giving additional coin inputs does not change the state. However, a customer pushing through the arms, giving a push input, shifts the state back to Locked. The Statemachine that runs a simple vending machine. Event is an action or trigger, which invoke the transition to change the state of the object. Each transition can be defined by identifying the state where it begins, the event by which is invoked, and the state where it ends. Ruby Toolbox Statemachine has list of gems which supports statemachine functionality. Why we need statemachine functionality in ruby? The main reason for using state machines is to help the design process. It is much easier to figure out all the possible edge conditions by drawing out the state machine on paper. This will make sure that your application will have less bugs and less undefined behavior. Also, it clearly defines which parts of the internal state of your object are exposed as external API. Most web apps contain several examples of statemachine, like accounts, blog posts, orders, invoices and many more.The problem is we never think of them as statemachines while designing your application. Therefore, it is good to have some indicators to recognize them early. The above three gems vary in their syntax and some additional features. Table: List of features in gems. So here is a short description which will give you a brief idea on how to use it. Copy and paste jquery.jqplot.min.css from “dist/jquery.jqplot.min.css” in “css/ ” folder of your web app. Copy and paste excanvas.min.js from “dist/excanvas.min.js” in “js ” folder of your web app. Copy and paste jquery.min.js from “dist/jquery.min.js” in “js/ ” folder of your web app. Copy and paste jquery.jqplot.min.js from “dist/jquery.jqplot.min.js ” in “js/ ” folder of your web app. Now just open up your markup file in your browser and you would be able to see the plot. Native vs Hybrid vs Web application ? Which one to choose? With the inception of HTML5 and CSS3 and with the likes of PhoneGap, Appcelerator, RhoMobile, IBM Worklight coming up with cross platform mobile app frameworks the biggest question running in the minds of mobile app developers is regarding which mobile architecture to use . What is Native? Hybrid ? Web apps ? Native refers to building an app in a device’s native programming language. For iOS devices this means Objective-C, and for Android it’s Java. Native apps are typically fast, reliable, and can access all the the device’s hardware. These apps are usually built for high performance needs like mobile games. But the downside is that once built this app is tied down to the platform for which it is built. So an iOS app would not run on an Android device. A hybrid app is built using web technologies, and then wrapped in a platform-specific shell that allows the it to be installed just like a native app. Thus it is sold/accessed through the device’s app store. PhoneGap is an example of a framework that allows you take a web app and turn it into a native app for iOS, Android, BlackBerry, Windows 7, WebOS, Symbian and more. The hybrid frameworks typically have APIs as well, that allow you to access the device’s hardware and features that are locked out from the browser. 1> Pre application build considerations. What kind of application is to be built ? What architecture you use depends mostly upon the kind of application you want to built. If you application require the use of native features like camera, bluetooth, accelerometer, database, microphone, speaker, GPS, PUSH etc, then you are better off with a native app. Native apps provide you seamless transitions and quick/flawless access to these device capabilities. Or maybe you want to develop a high end game which utilizes the device graphics and relies on offline storage capabilities, native is the way to go. On the other hand suppose that your app will seldom utilize minimum device capabilities like camera, push notifications, then you can go for an hybrid app. These apps will infrequently use these capabilities but are not entirely dependent on them. Depending upon the API`s provided by different frameworks like PhoneGap, Rhomobile, Worklight etc you may choose one and start building the app. As the code written using these frameworks is interpreted by the browser and then compiled these apps are slower than the native apps. The last case is if you want to create a web app wherein you just want to share some information with the users on a regular basis or provide some kindof notifications to the users or for eg. You want to provide a product catalog for the consumers online. In this case the application does not utilize any of the device capabilities like camera, bluetooth etc. Such applications can be built using the powerful yet simple emerging technologies like HTML5 and CSS3. These apps can be accessed from anywhere by anyone using any device as long as they have an internet connection. These apps are the simplest to develop and maintain. 2>Post Application Built Considerations. Cost for developing, testing, maintaining, versioning. Going native is always going to be costly. Consider this, you may want to develop a game which is available for iOS, android, blackberry and windwos 8 platforms. Not only do you need experts across different platforms to develop this game, but you now have to maintain 4 copies of the same game. Going native would increase the cost for distribution, testing, maintenance, enhancements etc.. On the plus side however, these apps will provide you with all the functionality the device has to offer. The user experience would be the best and cannot be compared elsewhere. The plus point with developing a hybrid application is that the cost of building the application is reduced drastically. You would only need to develop the code once and the framework will provide you with 4 working versions for as many different platforms. Thus testing and maintenance of the app also reduces. But these apps are yet to showcase the seamlessness and user friendliness displayed by the native applications. One can only imagine with technologies like HTML5 and CSS3 developing that the gap between hybrid and native will be reduced. The web applications are again the most simplest to develop. Once however needs to take care adjusting the web page resolution depending upon the screen size of the device. For example the same screen resolution used on a 4 inch iPhone will not look great when used on a 8-9 inch tablet. By careful design considerations and coding this however is not a huge task. Again these apps are the simplest and do not use any device capabilities. Advantages Lets you create apps with rich user interfaces and/or heavy graphics. Combines the development speed of mobile web apps with the device access and app store distribution of native apps. Offers fast development, simple maintenance, and full application portability. One mobile web app works on any platform. Can’t access camera or microphone. You add a new gem to your Gemfile and start using it in your application’s code. You never have to do ‘require <gemname>’ to use it in the application. Ever wondered how rails autoloads all your gems? Let me walk you through the process which rails follow. Actually Rails uses Bundler to handle dependency management of all the gems and also autoload them. How Rails put the gems “on the load path”? How are gems required (run) ? The above code loads the assets group of gems only in development and test environments. It makes sense as we use precompiled assets in production, hence assets gems aren’t required to be loaded. (see Rails.groups). There are few comments in the file which will help you to change the default behavior if required. Understanding rails initialization internals allows us to tweak the process to reduce the application load time. We’ll talk more about the process in the coming posts. What and Why of Rails? For the last few years, there is a lot of excitement going on about Rails among the web developers. Few months back, techies at Cybrilla have decided to give it a try and now Rails is the main development platform. I decided to blog the reasons behind it, so that it helps you to decide if you are planning to get your hands dirty with Rails. Rails is a web development framework based on Ruby Programming Language. It strictly follows MVC architecture and believes in ‘convention over configuration’ concept. For developers with Java background: Rails is similar to struts / spring mvc etc. For developers with PHP background: Rails is similar to CodeIgniter / Zend etc. 1. Convention Over Configuration – Every java developer has to face the problem of maintaining endless xml configuration files. Rails removes much of this pain by following certain conventions for file names, directory structures, database column names etc. 2. DRY: Don’t Repeat Yourself – Rails strongly believes that re-writing a same piece of code is a bad thing. Because so many implementation details are implied from a master source, making changes in Rails becomes straightforward and generally requires a change at a single location. 3. REST is the best pattern for web applications – Rails assumes that most of the web applications are/can-be organized around resources and therefore uses standard HTTP verbs extensively. 1. Conventions impose discipline in coding. This allows the developers to concentrate on the core application logic than on setting up the application, setting up the database, configuring database etc. mundane tasks. 2. Because of strong conventions, changes to applications are very cheap and therefore Rails is very strong in agile development space. 3. Great community of rails developers keep on building plugins which can be used for common tasks. This removes a lot of “plumbing” associated with building applications with other frameworks. We have come up with a very intuitive dashboard for Bizkaro. The initial users of the product are very much impressed by the ease in using the dashboard. The dashboard is used to manage the content on the website. I’ll give you a quick overview of the dashboard. All the available functionalities are nicely displayed on the left side of the screen. The functionalities are put into different categories for the ease of finding them quickly. 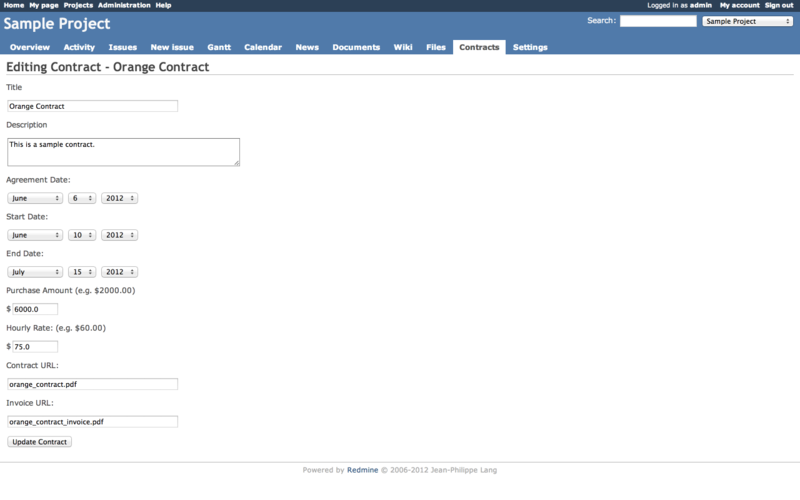 The right side of the screen is dedicated to display the actual content management forms. We have designed the flow (for adding new packages, adding new clients information etc.) very beautifully so that the user finds it very intuitive. The header bar at the top displays the logged in user information and contains a link to go to the actual website. We believe the users will find this UI interesting and easy to use. We look for your valuable feedback.